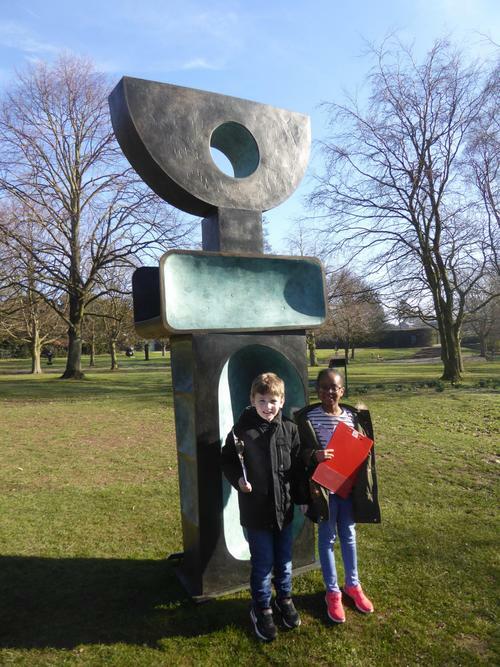 Year 3 had a brilliant visit to the Yorkshire Sculpture Park and the Hepworth Art Gallery on Monday. 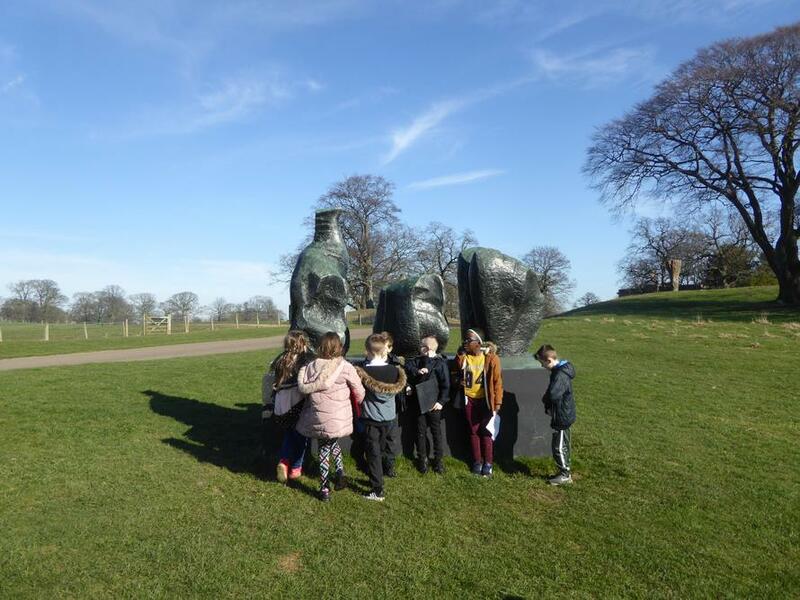 We loved exploring the sculptures outside and looking at how they related to the landscape. 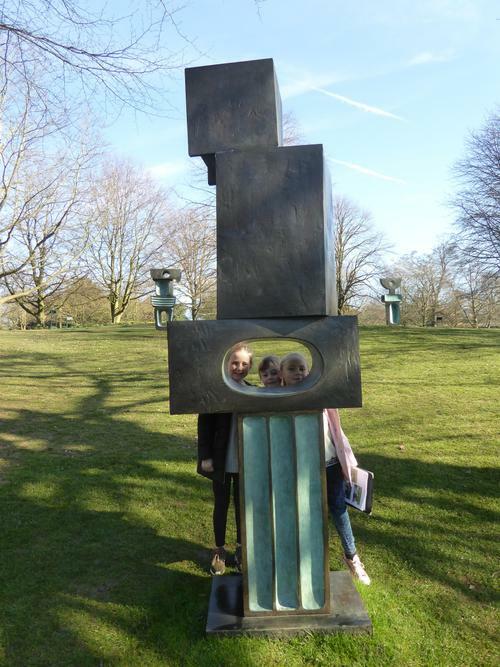 We especially enjoyed Barbara Hepworth's Family of Man series and we noticed that each one was a different person. There was a bride, a bridegroom and even a little girl. 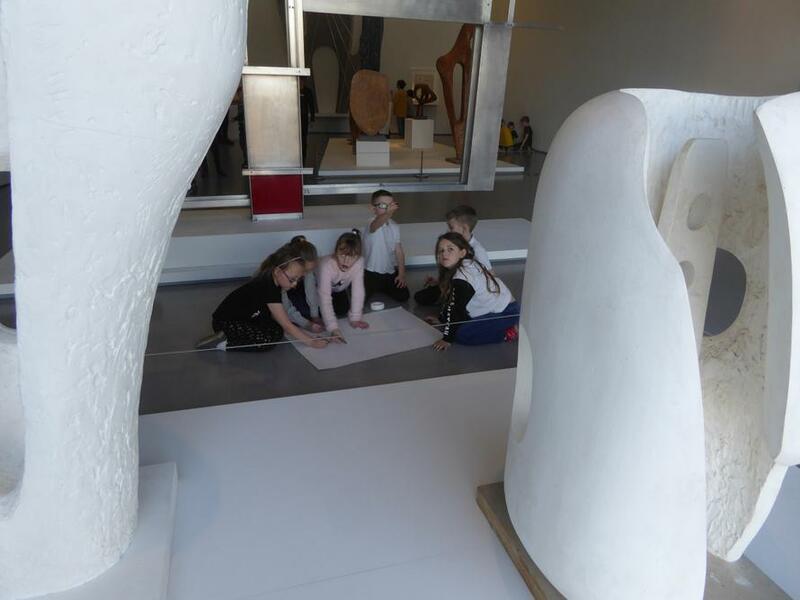 We found out that Barbara Hepworth liked holes through her work so you could look through them at the inside and the outside. 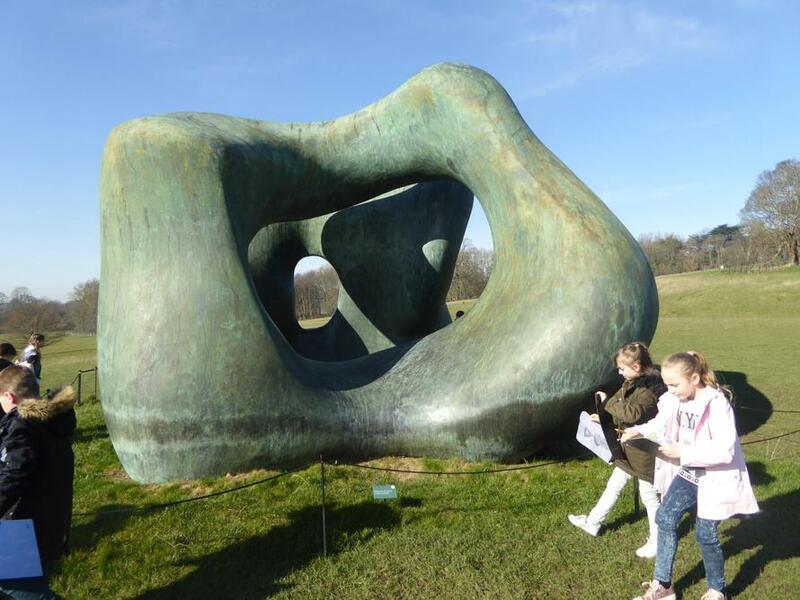 Then we went to find Henry Moore's work and a lot of his figures looked like they were lying down. 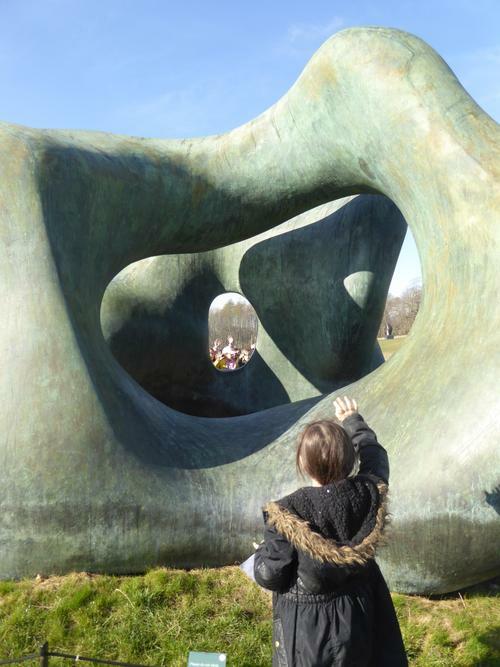 They were quite abstract so they reminded us of different things. One of them looked like a lady sunbathing. 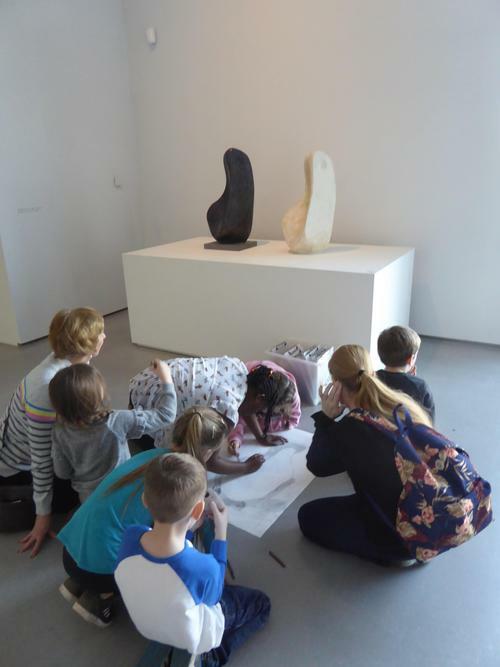 In the Hepworth Gallery we drew different sculptures and we had great fun using different materials to create our own group sculptures using ideas from what we had already seen and the theme of 'inside and outside.' 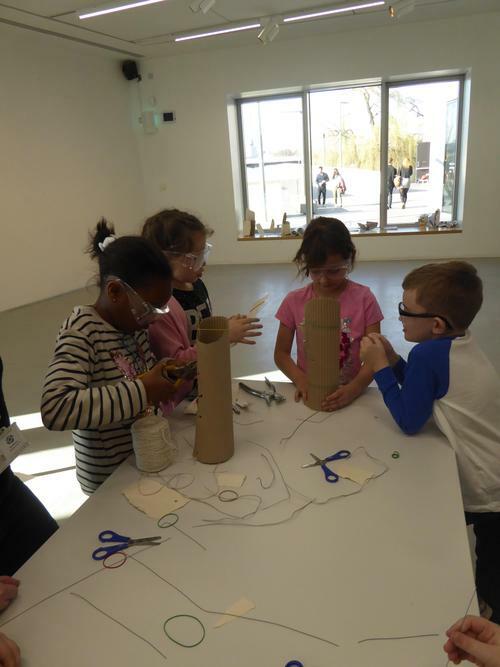 Back at school we are going to create our own sculptures to show you. Year 3 had a brilliant visit to the Leeds Recycling and Energy Recovery Facility this week. 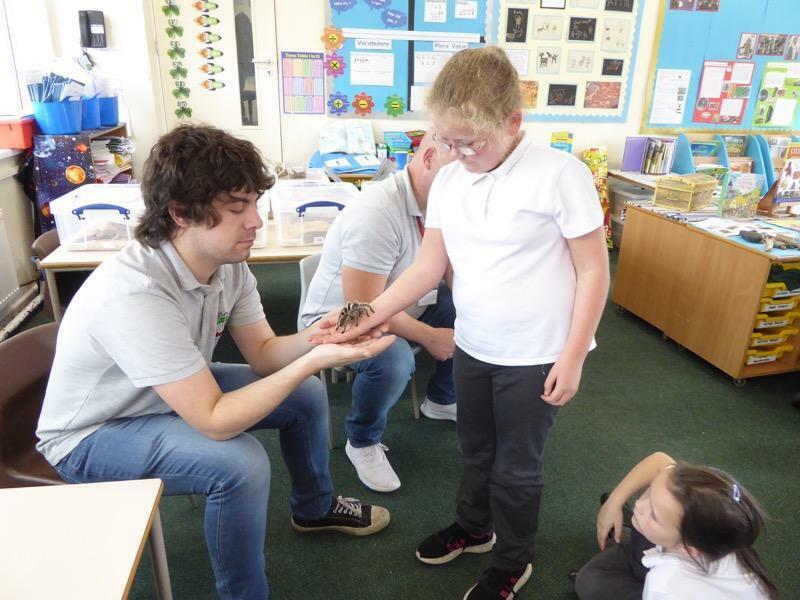 We couldn't believe how interesting it was or how much we found out about what happens to our waste. We watched the claw move the rubbish and we found out how machines sort it to take out plastics, glass and card that can be recycled. 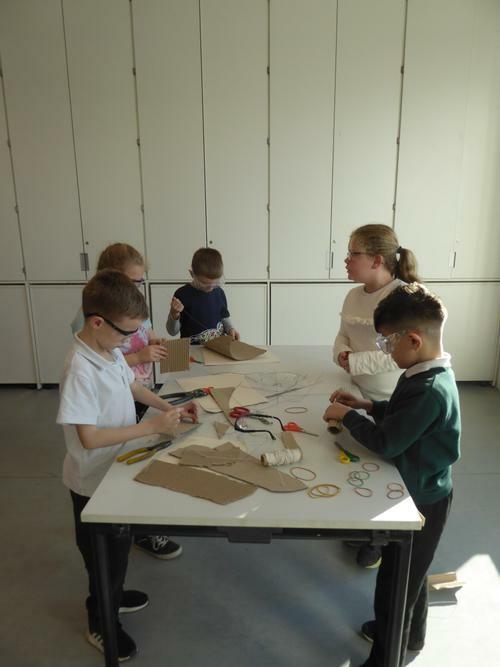 Metal can be reused and turned into other products and we even found out that plastic bottles can be reused and turned into fibres to make jumpers! The waste is burnt in a fire and the energy made by the fire is converted into electricity. We are planning to find out a lot more about recycling now so that we can recycle more in school to help our environment. 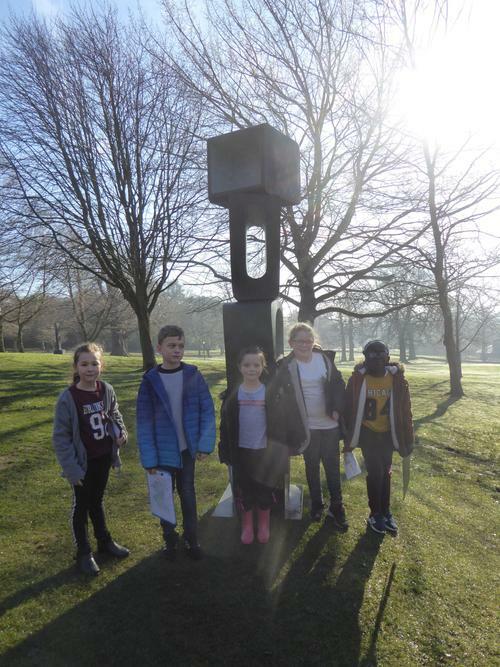 Thank you to everyone who has been taking photographs of where they live, making maps of their area and asking family about how Seacroft has changed over time. 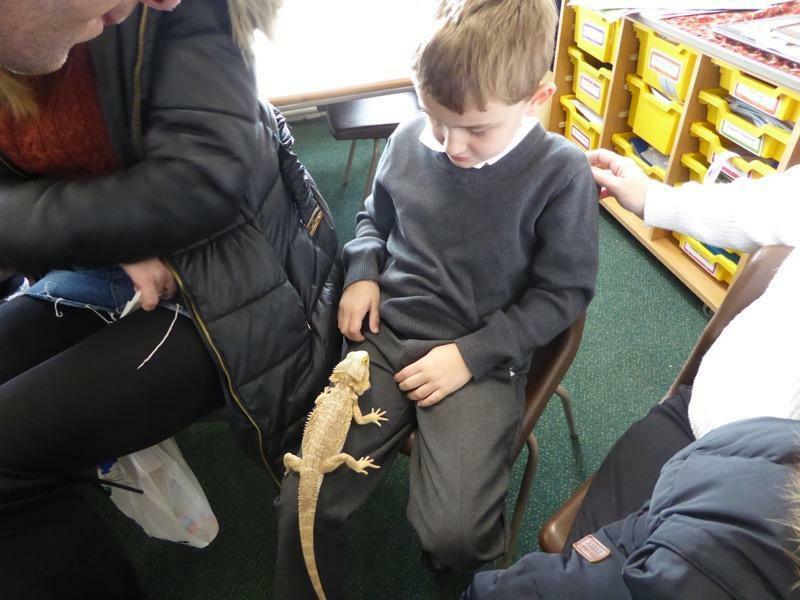 Some of the children have been researching what Seacroft was like in the past and they are really interested in this. We found out Seacroft was a village with lots of fields and farms in the past. When we visited St James' Church we found evidence of this. 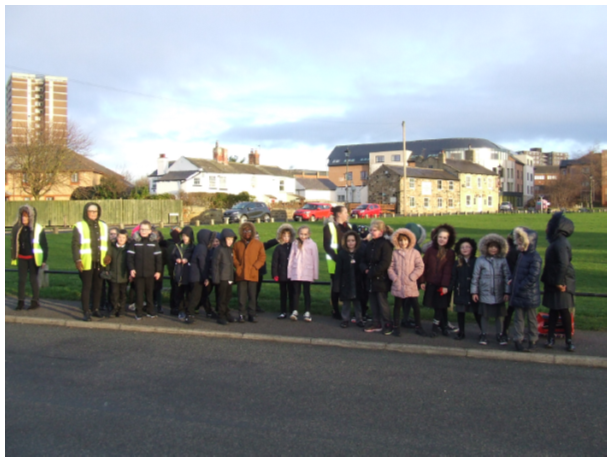 If you have any memories of what Seacroft used to be like or family memories of how it has changed, please write them down for Year 3 to bring into school. Thank you. 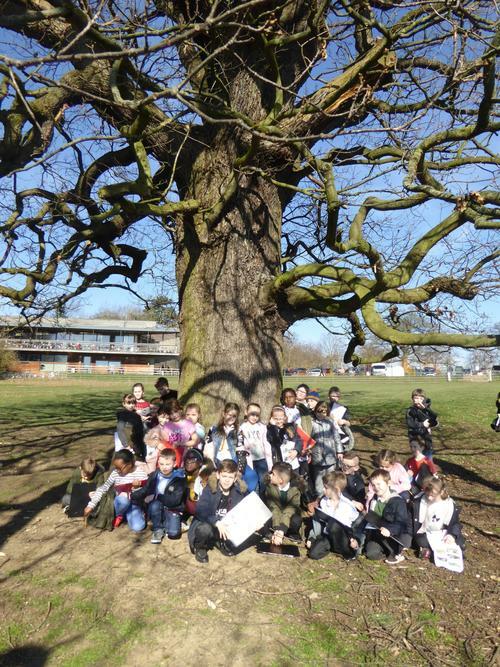 This term we are finding out all about the communities we are part of in Year 3. 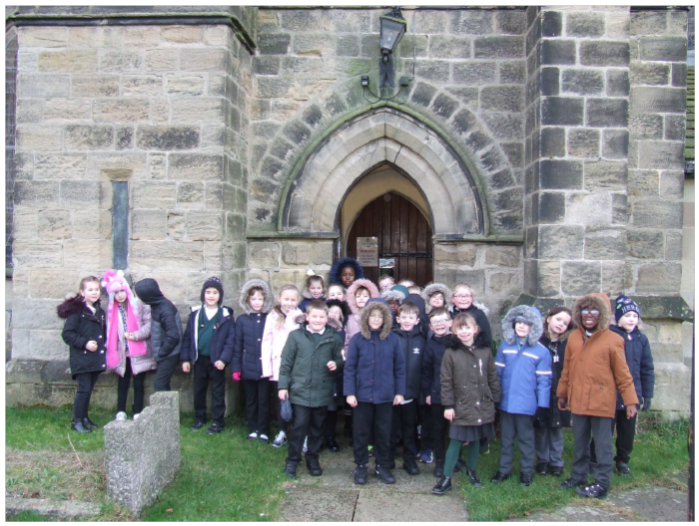 Wednesday we walked around Seacroft Green, visited St James' Church and began to think about how old the buildings are. 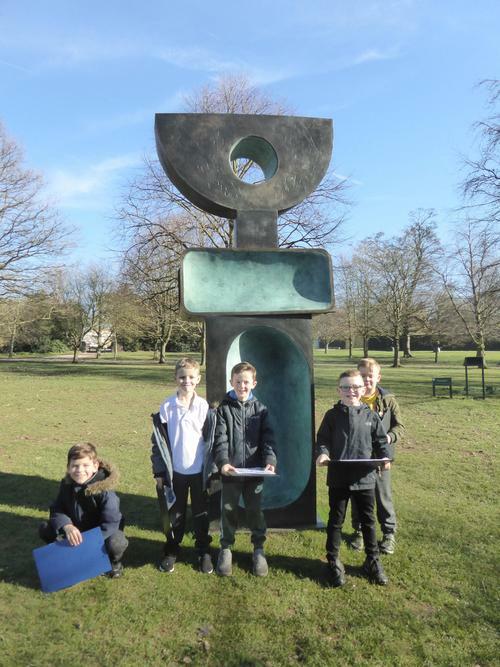 Lots of children have already began their research at home by drawing their house, making maps of their area and taking photographs of where they live. 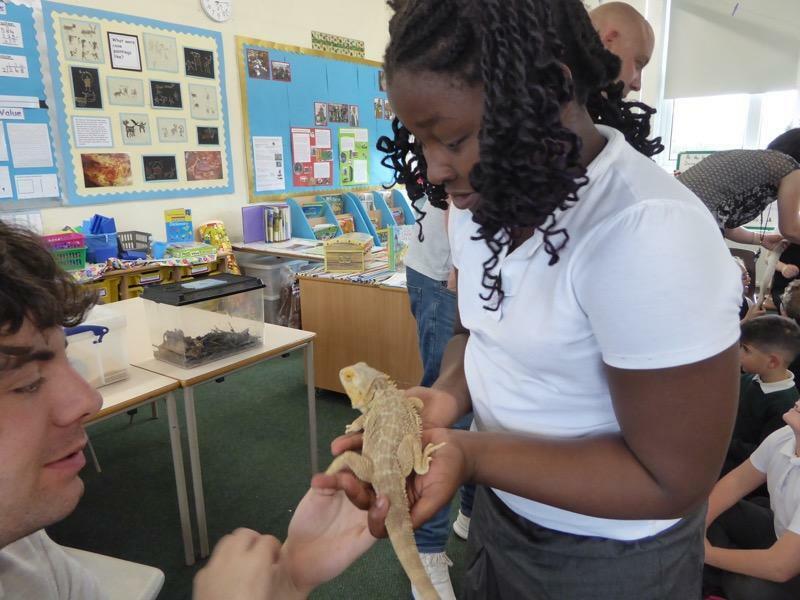 Think about what you are most interested in for your school project and look out for photographs here soon. 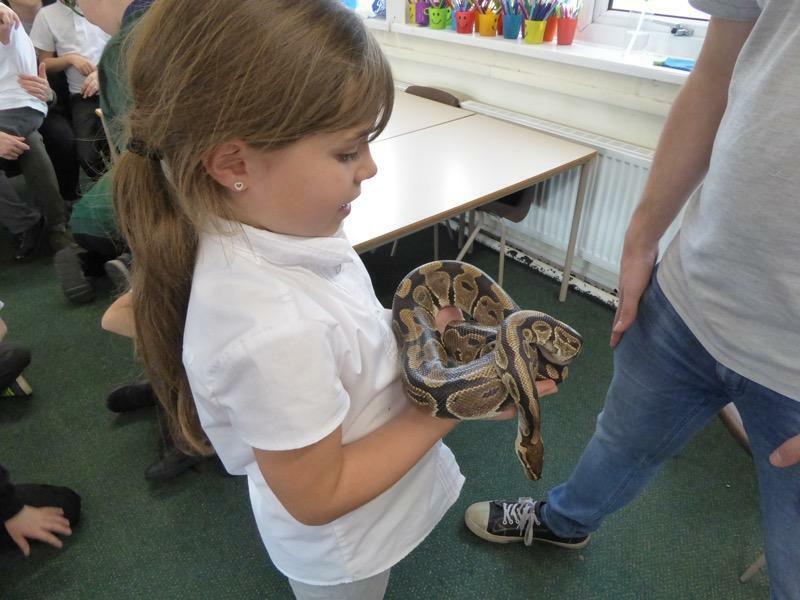 Year 3 have spent the last few weeks enjoying the Anglo-Saxon myth Beowulf. We have had drama sessions every week by Pavla where we have really enjoyed acting out different parts of the story while we think about the different characters. 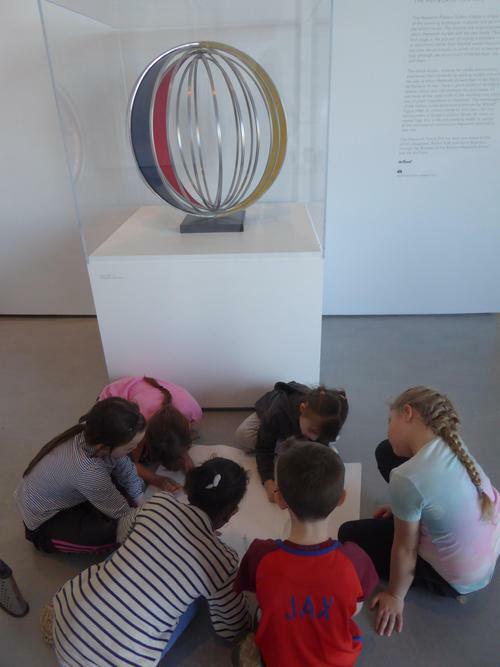 This week is our last session so we will be using our ideas in our writing and artwork. 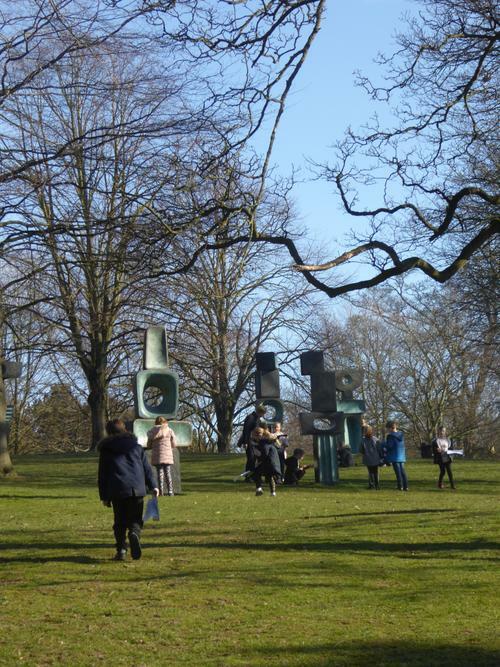 Look out for photos next week that show what we have been doing. Year 3 had a brilliant time exploring Jorvik and The Dig to help us start researching the Vikings. First we became archaeologists so we used tools to hunt for different artefacts. We learned that thousands of Viking artefacts have been found under York and they tell historians all about the Viking way of life. 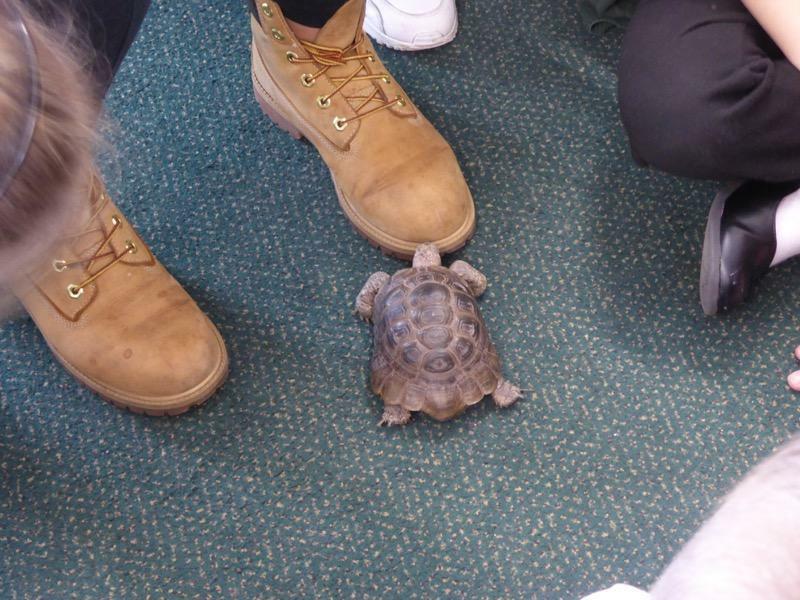 Lots of pairs of shoes have been found, so have different weapons, pottery, jewellery and even the remains of a woolen sock. Then we went on a ride through the Viking village at Jorvik and it seemed so real. It was very smelly but most of us loved feeling that we were watching the daily life of real Vikings. 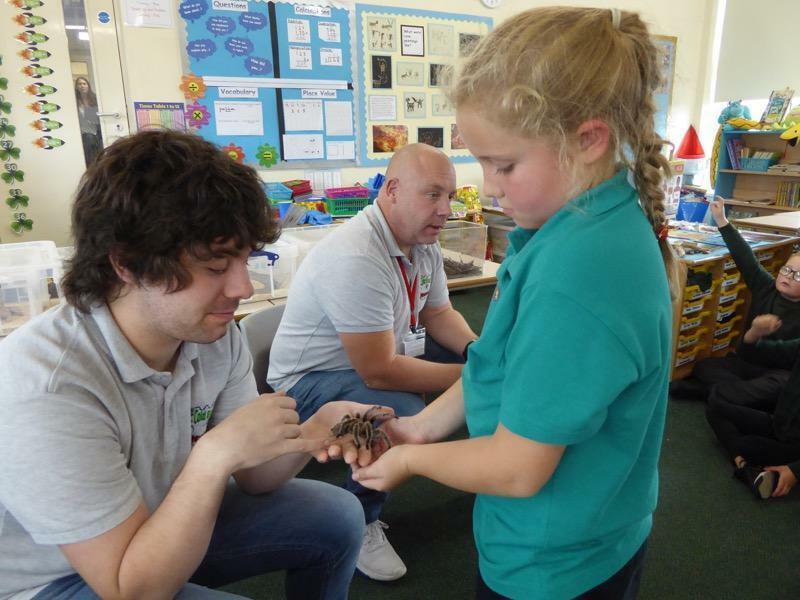 Year 3 had a brilliant time visiting Meanwood Valley Urban Farm last week to learn more about rocks and soils. We looked at different types of soil and explored what soil is made of. We collected leaves, small rocks and stones and different organic matter in a bag. Then we added water and mixed it together. It didn't change much though so we found out it takes a long time to make soil. We had great fun experimenting though and trying to make our own. 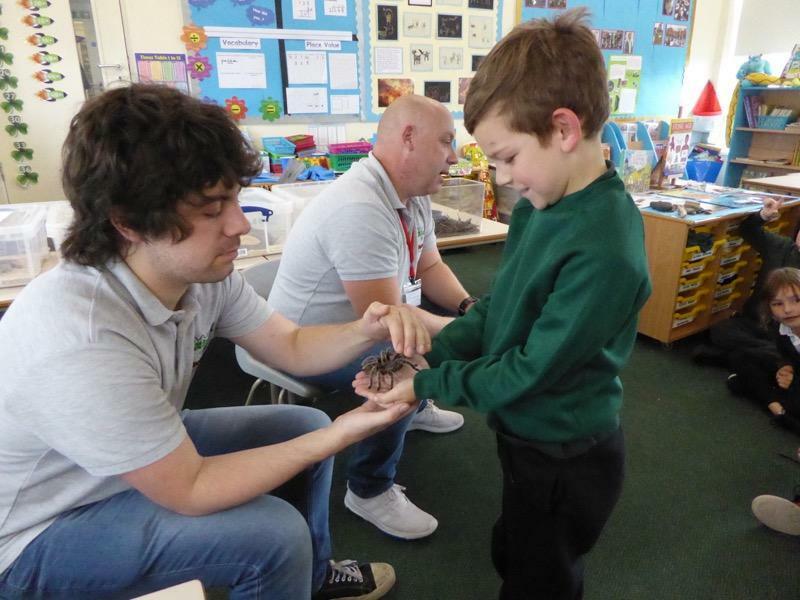 This week we have started to learn about rocks and soils as part of our science topic. Emily came in from the Museums Service to tell us all about the rock cycle. We found out that there are 3 main types of rocks called igneous, metamorphic and sedimentary rocks. We used magnifying glasses to look closely at different rocks and we tried to identify different fossils. We were amazed to find out that rocks can be millions of years old. 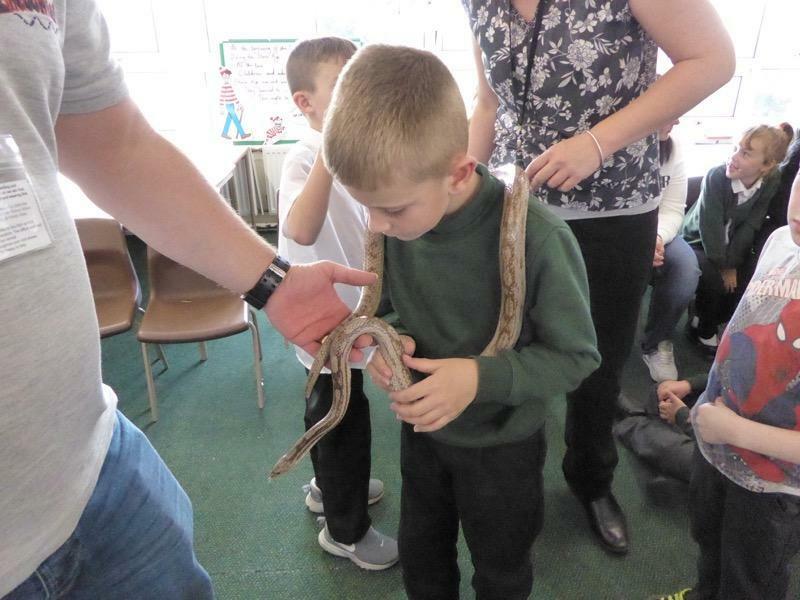 Next week we will find out more when we visit Meanwood Valley Farm on Tuesday. We had great fun last Monday taking part in drama with Matthew Bellwood. He got everyone dressed up in tunics so that we could pretend to be Romans in a Roman town in Britain. First we chose a council who would have run the town and that group of children got to wear togas. Their togas were white because only the Emperor could wear purple. Then we learned about the Roman Baths and what a visit to the market place would have been like. We pretended to buy things from the different sellers and some of us pretended to visit a bathhouse. Later we learned about the Roman Gods and Goddesses and gladiator fights. We had a brilliant day. 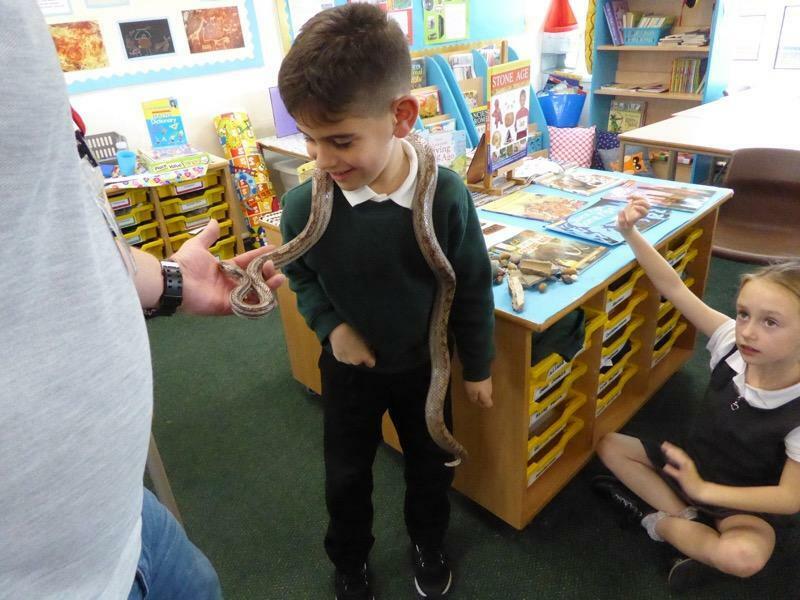 In Year 3 we had a brilliant time taking part in story telling drama sessions on 'No pens Wednesday' and learning about different creatures during our 'Animals Encounters' session. 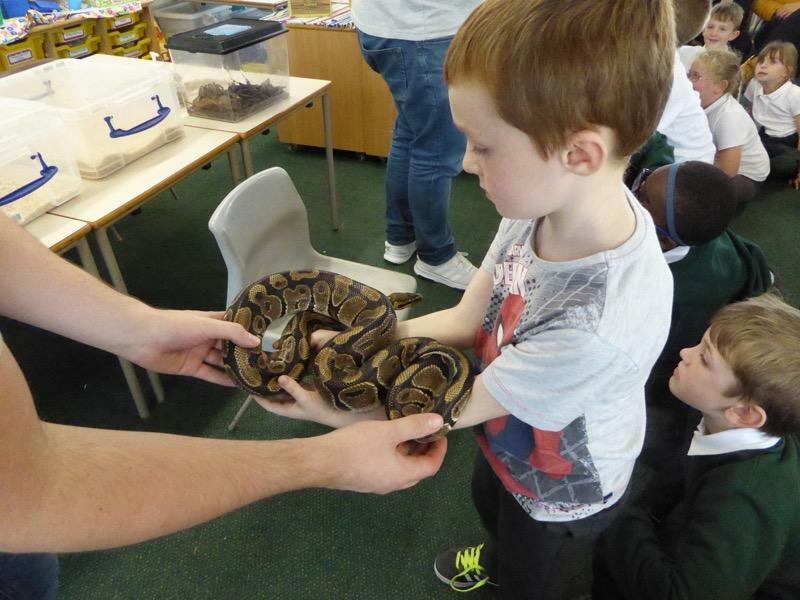 Thank you to all the parents who came to join in the fun too. 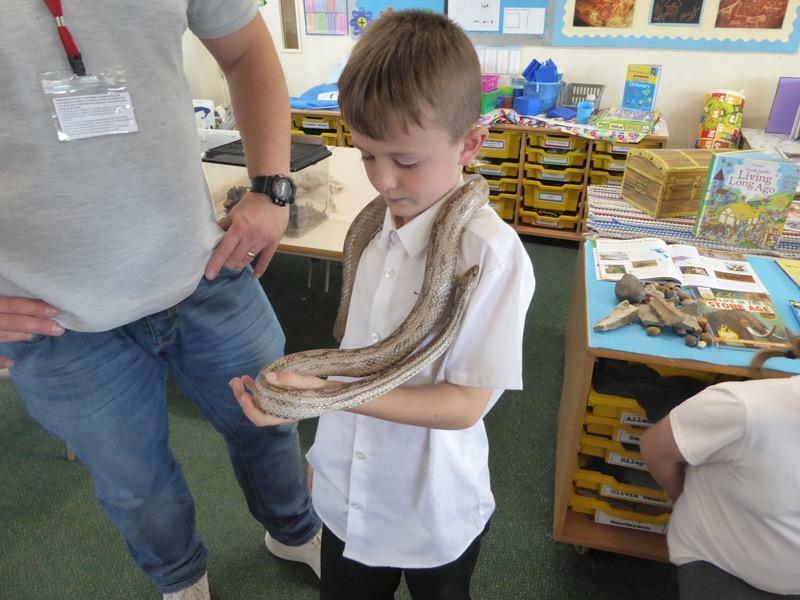 In Year 3 we have now begun to learn about life in Roman Britain. 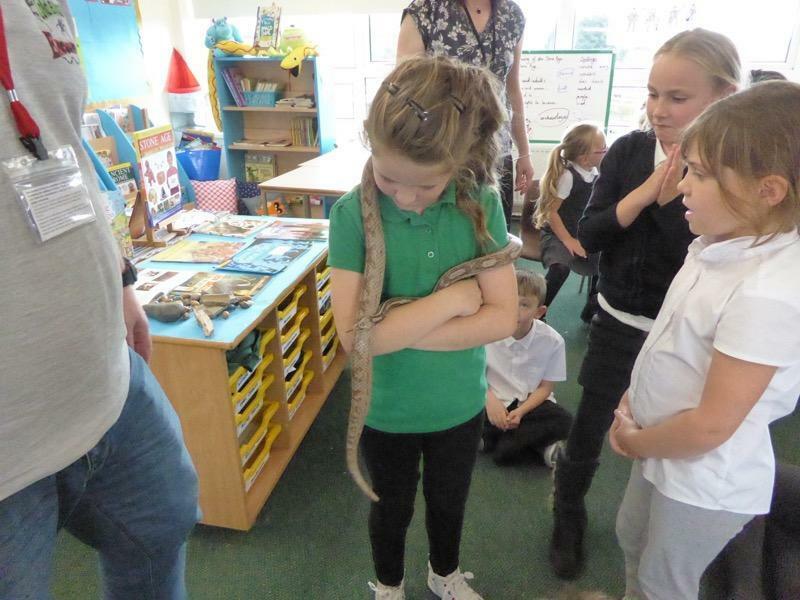 Flavia visited to tell us how life changed for the Celtic people when the Romans invaded. We learned about how well trained the Roman armies were so they were easily able to take over the land. They built different types of buildings, farmed for food, went to the markets and worshipped many different types of gods and goddesses. Next week we are going to do some drama where we pretend we are Romans. 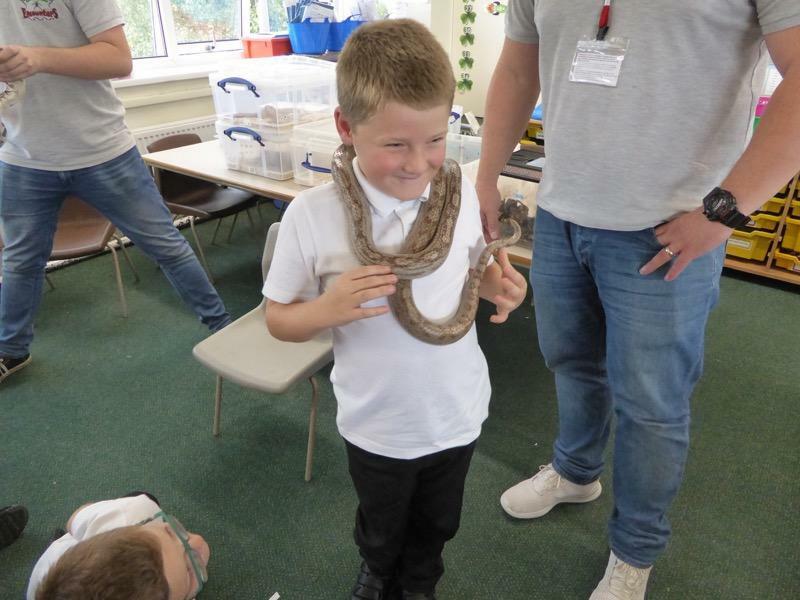 We have spent the last few weeks learning all about life in Stone Age and Iron Age Britain. We really enjoyed exploring different artefacts and learning about how people lived. 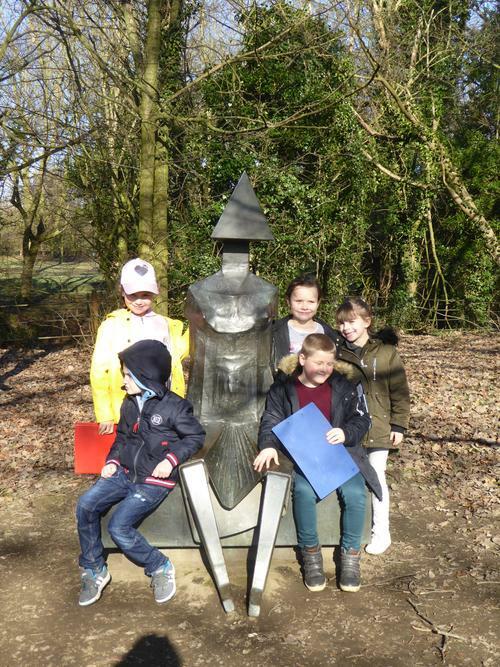 One of our favourite parts was finding out about how people hunted and what weapons they used. Have fun looking at the photos of what we did. 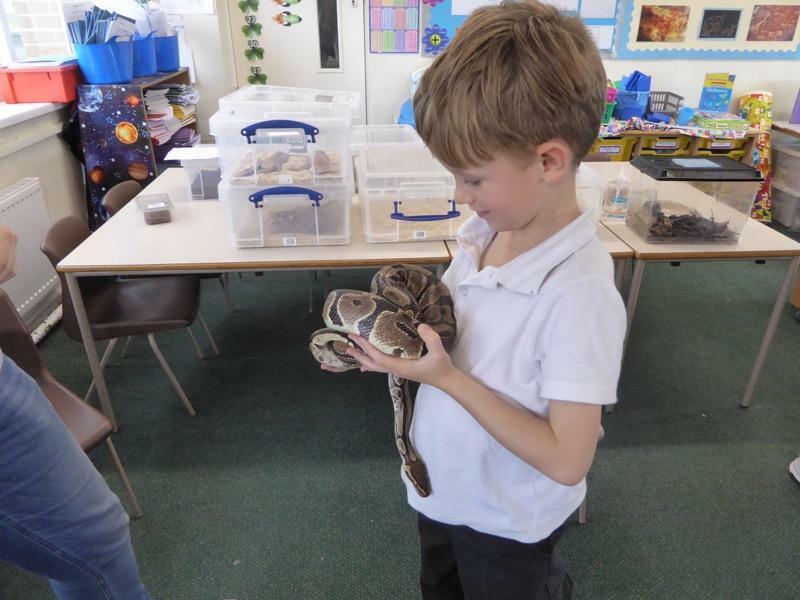 We are very impressed with how well the children have settled into Year 3 this week and we are looking forward to an interesting term learning all about different Invaders and Settlers. This starts on Monday with a Stone Age workshop in the hall. Look out for the photos here soon! All the children are excited about their first swimming lesson next Wednesday. Please remember to bring back the permission slips next week. Thank you.